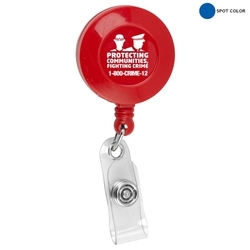 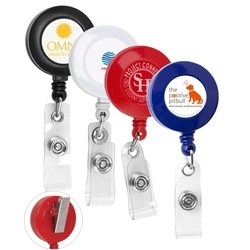 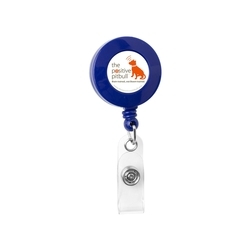 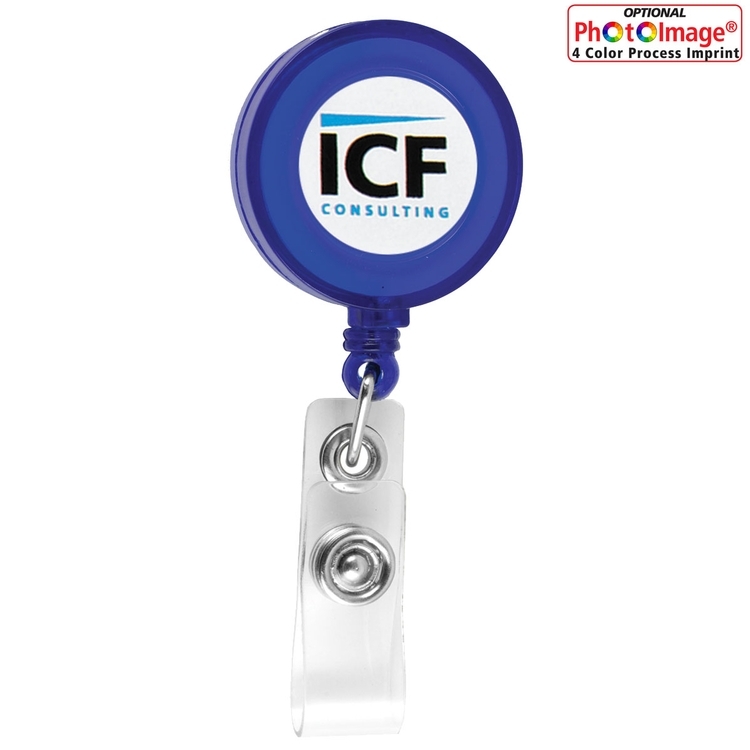 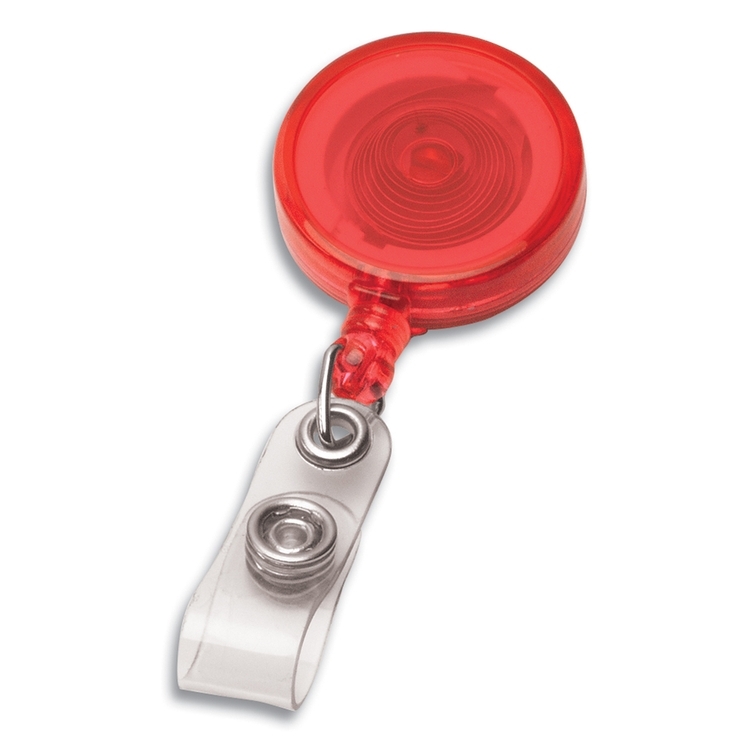 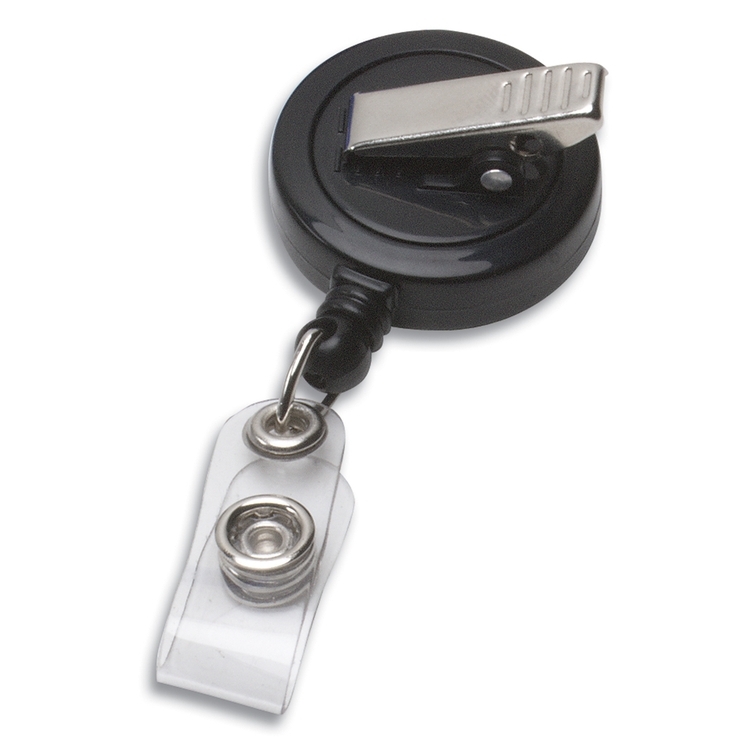 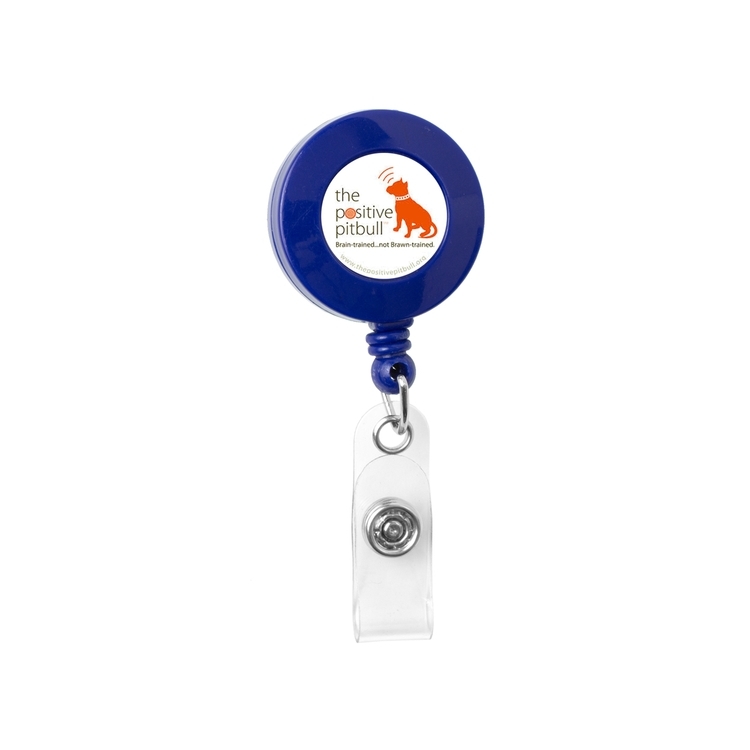 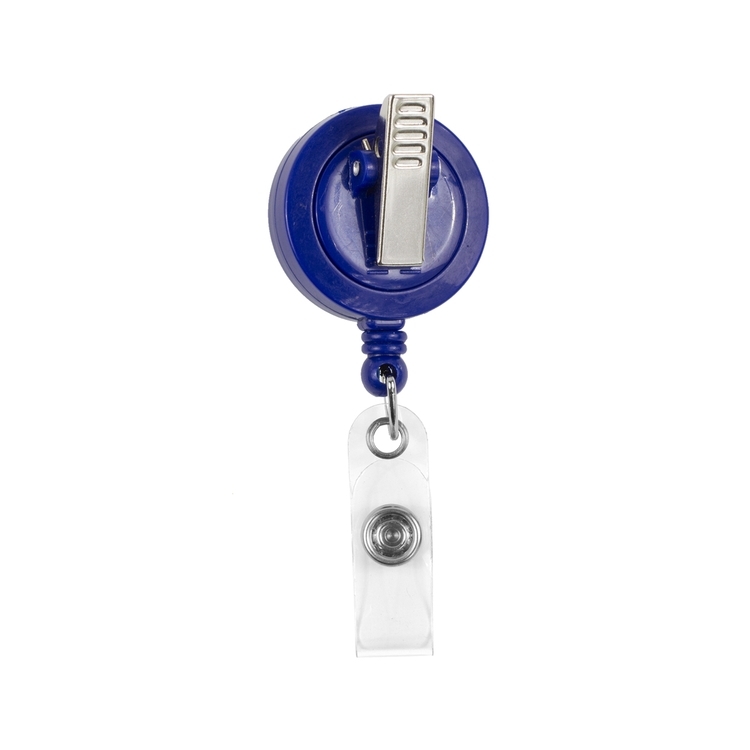 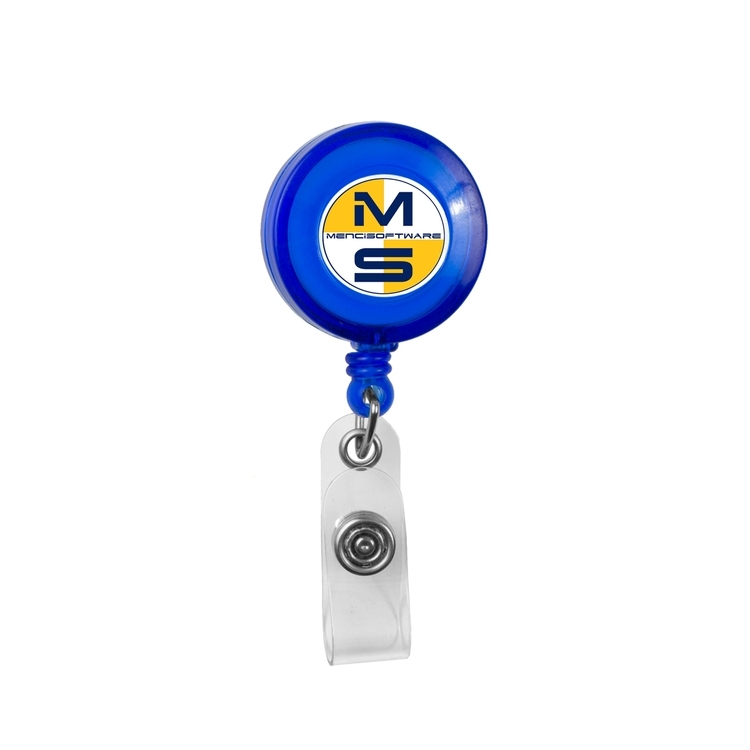 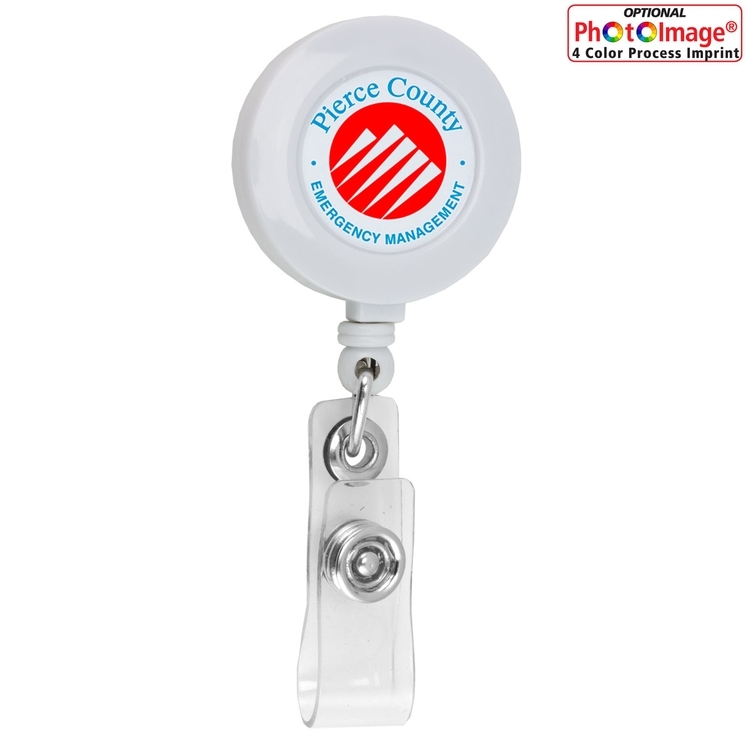 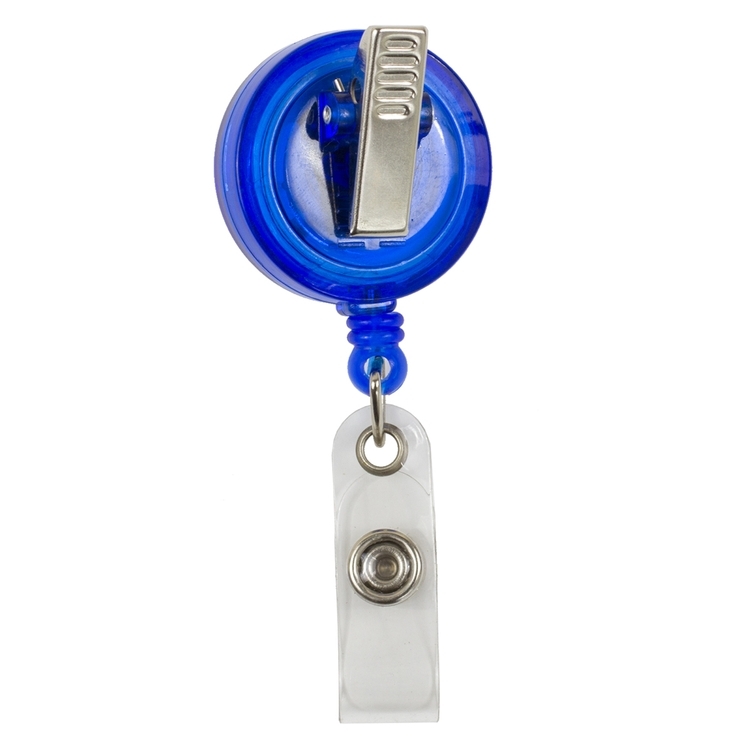 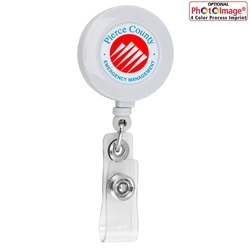 30” Cord Round Retractable Badge Reel and Badge Holder with Rotating Alligator Clip Backing? Price includes: up to a 4 color process imprint on white vinyl label (exact color match not guaranteed). Optional Protective Epoxy Dome: Add $0.30 (G). 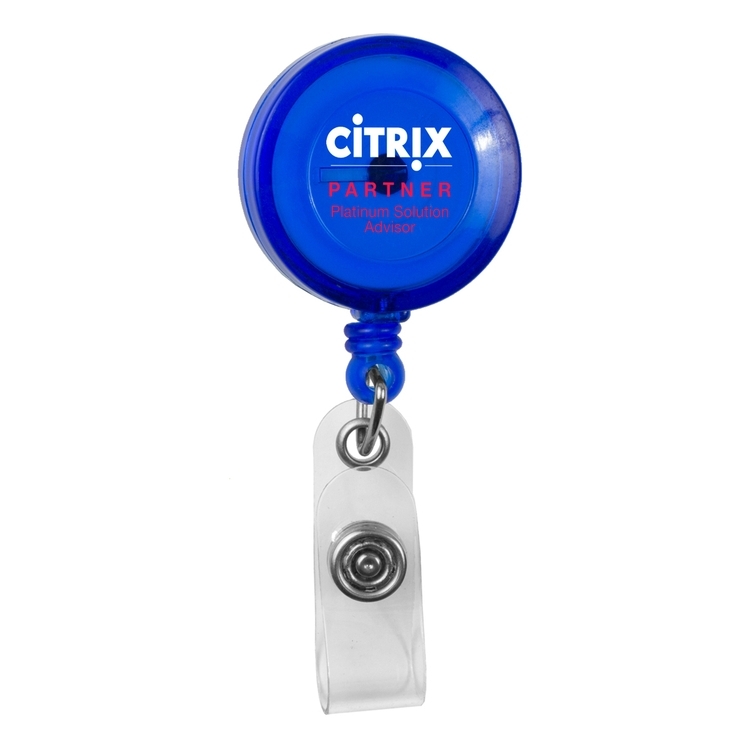 Add two days to production times. Disclaimer: Small bubbles and variation in vinyl label application alignment cannot be avoided and is not considered a defect.